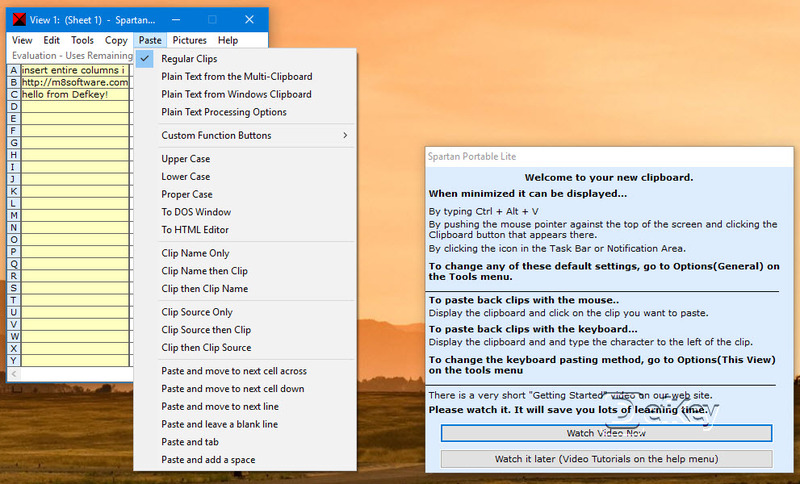 Spartan makes cutting and copying multiple items possible under Windows. Copied items can be then listed and pasted by clicking. Spartan is also known for its great integration with Excel. It can insert entire columns into spreadsheets automatically. What is your favorite Spartan Multi Clipboard hotkey? Do you have any useful tips for program? Let other users know below.